“I think I have the speed right now to run top ten outdoors, so I’m definitely ready.” – Weston Peick, July 2012, days before his season debut at Washougal. Earlier this season I wrote a piece for Racer X Online (The Only Life They Know) detailing the accounts of a few riders that had failed to secure rides for the 2012 Lucas Oil Pro Motocross Championships. California native Weston Peick was one of those riders. One of the lasting impressions after speaking with Weston was that he sounded fully prepared for his debut after a long layoff. He spoke those last words, “I think I have the speed right now to run top ten outdoors, so I’m definitely ready,” with such conviction that you could sense something special was in store for the privateer. Built more like an NFL middle linebacker than a pro motocross racer, the unheralded amateur burst onto the professional scene at the opening round of the 2009 AMA Motocross Championship at Glen Helen with a top-10 overall in his rookie debut. 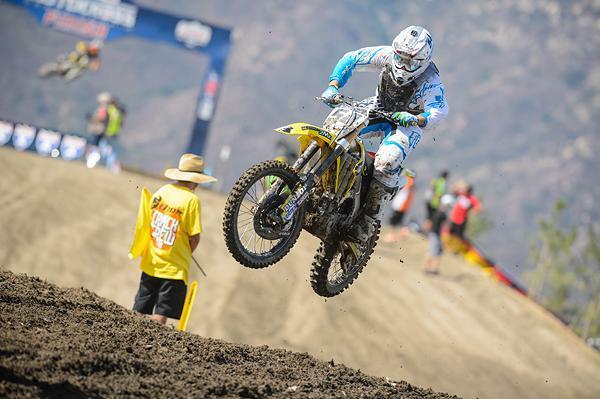 Peick would pile on another top-10 (Freestone) and four top-20’s in his rookie campaign. 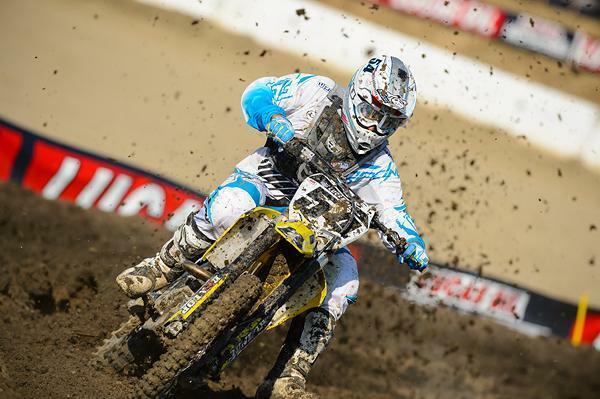 Peick finished 10th overall in his second race of the season at Lake Elsinore. Four years have passed since then, and the former high school football player is still bruising his way into top-10, trying to land one of the exclusive factory rides. After filling-in for the injured Austin Stroupe and Ryan Morais for Star-Valli Rockstar Yamaha in Monster Energy Supercross, Peick went un-signed for the Nationals. Without the budget to race the entire series, Peick was resigned to two Nationals that were close to his Southern California home—Washougal and Lake Elsinore. In all reality, Peick had two chances outdoors to prove he was a consistent top-10 rider and worth a look for 2013. Peick made the most of his first chance at Washougal with a ninth overall but would have to wait nearly seven weeks until his next chance at the season finale at the inaugural Red Bull Lake Elsinore National. Once again, the long layoff seemed to have little affect on Peick, as he rode to his second consecutive top-10 overall. Two Nationals, two top ten overalls for Weston Peick in 2012. If you're scoring at home, that's two Nationals raced in 2012, both as a total privateer, and two top ten overalls in the 450 Class. With the book closed on yet another season, it’s back to the drawing board for the privateer. He plans to race a one-off SX race in Greece (Peick raced SX in Greece, Finland and Germany last off-season) while also trying to secure a ride for 2013 (he has been in talks with teams but was unable to devolve much on his situation). He'll continue preparing for supercross and hopes to shed weight off his powerful frame—something he admittedly has had trouble with considering his natural build. Peick vows that in 2013 we’ll see a whole new person, so it will surly be a busy off-season for Californian. In the meantime, based on his two-for-two performances in the top ten this summer, on his own, we leave Peick with this week’s Racer X Unsung Hero Award from Lake Elsinore.